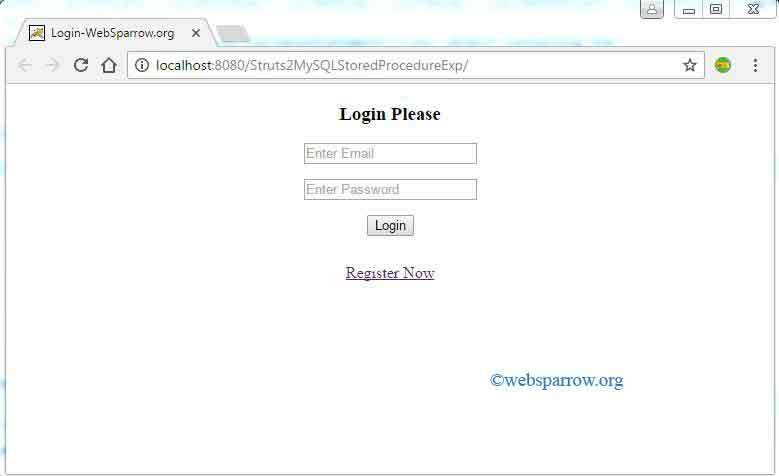 This Struts 2 tutorial will explain how to create a login application using Stored Procedure. Before creating this application some basic requirements are necessary to known. 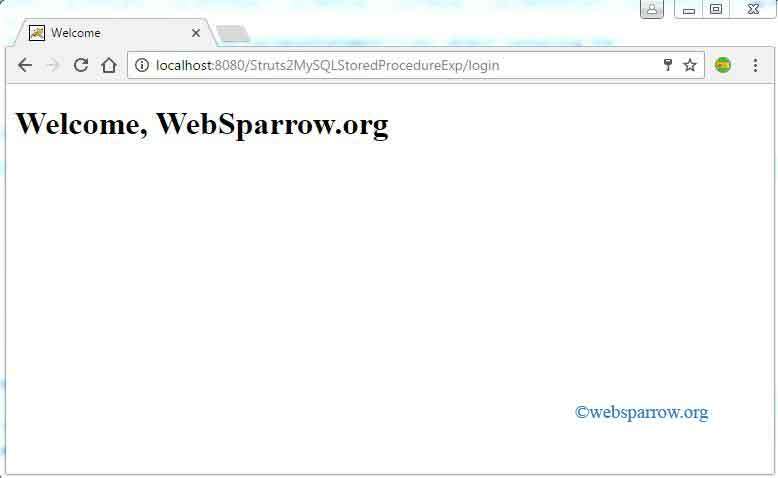 How to Call Stored Procedure in Java? A stored procedure is a subroutine available to applications that access a relational database management system (RDMS). Such procedures are stored in the database data dictionary. 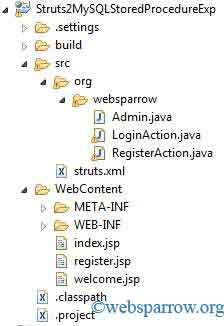 In Java programming language the CallableStatement interface used to execute SQL stored procedures. IN parameter values are set using the set methods inherited from PreparedStatement. The type of all OUT parameters must be registered prior to executing the stored procedure; their values are retrieved after execution via the get methods provided here. Create the procedure to insert the user information into the table. 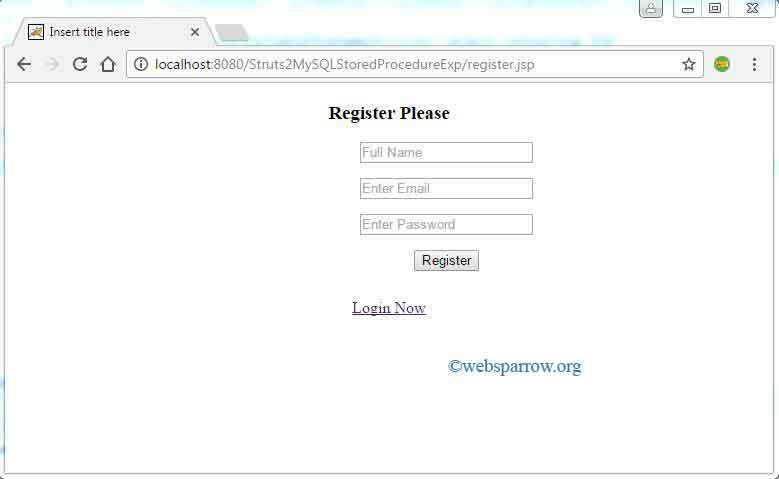 Create the procedure to get the user information from the table.